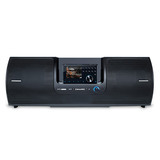 Don’t let its intuitive design and easy installation fool you, the Stratus 7 is pure genius. 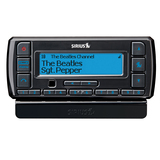 The push-button display makes it simple to view what's playing, change channels, and manipulate settings and functions - whether you are at home, in the office or on the go - with the car kit and the speaker dock. 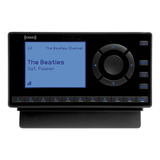 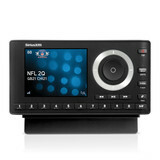 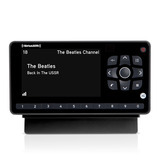 Featuring an simple display that shows artist name, song, or program title and channel information at the same time, this radio delivers what you need. 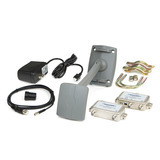 Easy, do-it-yourself installation gets you started and one-touch access for ten channels makes a errand to the store seem like a favorite road trip. 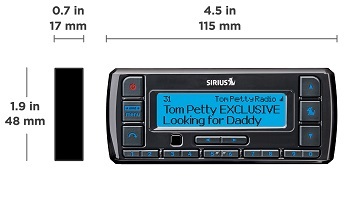 The listen-where-you-want sound system for SiriusXM Radios boasts a powerful subwoofer that delivers hard-hitting bass response. 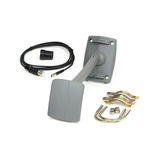 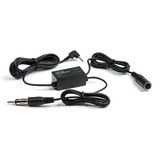 When you are ready to move the party, a concealed handle lends easy portability and open ports allow the ability to connect to other audio devices.